Drive Medical knows that transport of patitents can be the most difficult task of any professional or home-based caregiver. In hopes of symplifying this process as much as possible, Drive has produced this Full Body Patient Sling. 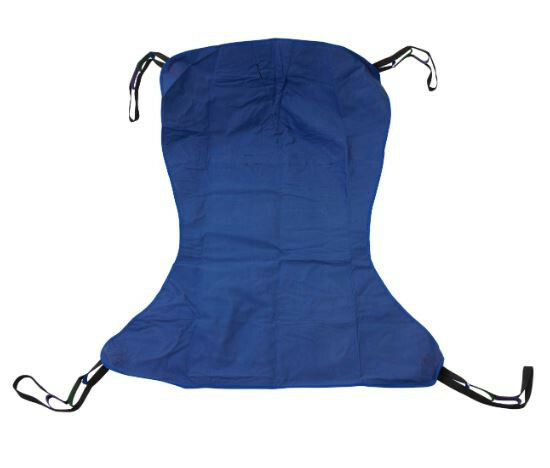 One of many of Drive's effective and inexpensive patient slings, this Extra Large full body type comes in both Mesh and Solid varieties. There XL slings are easily attached to lift and are completely reinforced at all points for added safety. The sling is manufactured from a durable material that resists deterioration from exposure to moisture and laundering. The edging is reinforced with extra strong stitching, yet is soft against the patient. 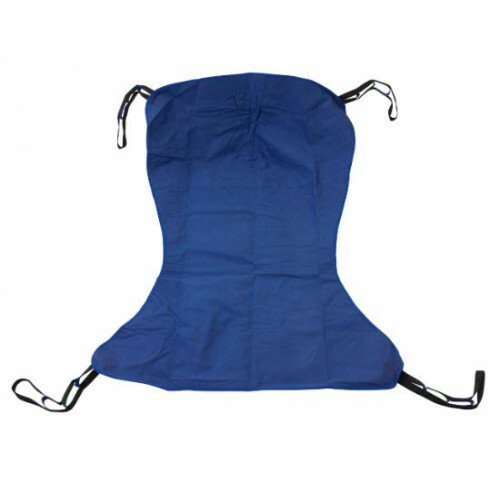 Plus, for extra patient comfort, the slings are constructed with a high back section that provides additional support for the head and neck and even a padded under thigh section. The weight of the product is not listed by the manufacturer, only the weight capacity. This products weight capacity is 600 pounds. In using the Lumex Manual Patient Lift, can this sling lower all the way to the floor to lift a person? The lumex has a minimum ground clearance, meaning it won't be able to lift a patient from the floor.